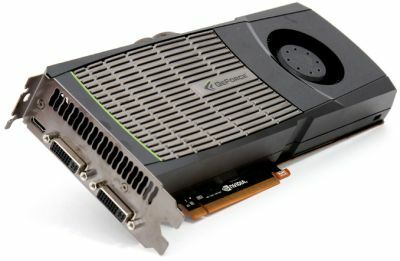 Here we are, the first reviews of NVIDIA’s new flagship cards, the GeForce GTX 480 and the GeForce GTX 470, are available. The list of reviews is available at the end of the post. 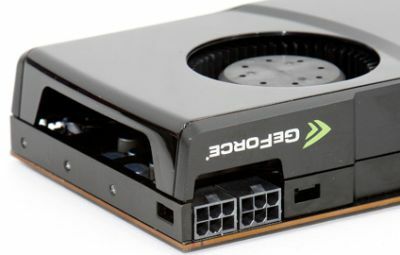 According to TPU tests, the power consumption of GTX 480 reaches 320 Watts (under FurMark) and the GPU temperature is around 96 degrees Celsius on typical gaming load. [H]ardOCP has also done power consumption tests with FurMark. 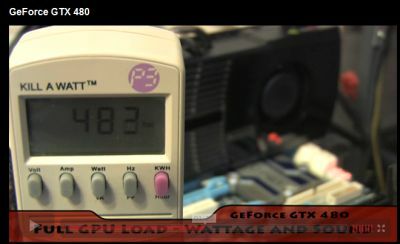 [H]ardOCP has published some videos showing the GTX 480 tortured by FurMark: the VGA cooler can be very noisy! From Guru3D, the noise under loading is around 43dBA. 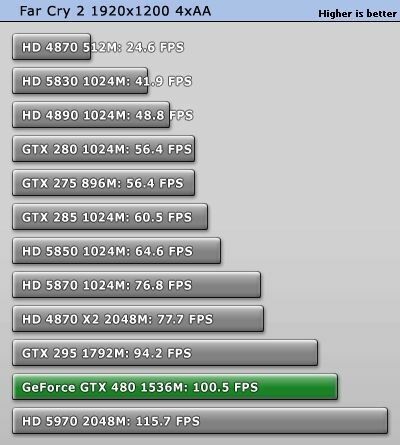 The GeForce GTX 480 shines in nearly all games in our test bench, giving out the highest performance figures for a single-GPU graphics card. 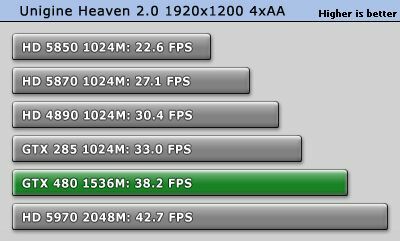 It especially performs well in some of the newest DirectX 11 generation tests, something worth discerning. 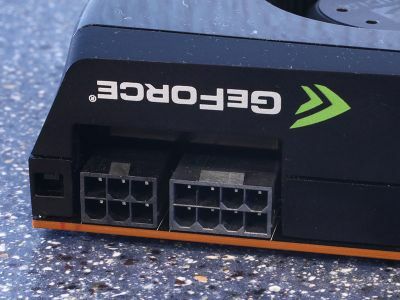 The GTX 480 is quite simply not a “Radeon HD 5870 Killer.” We don’t know if we were supposed to think it would be or not, but with the power consumption this beast requires, you would hope it would be providing a bit more performance than it is. We can’t say that any of the real world gameplay advantages blew us away compared to the experience of gaming on a Radeon HD 5870. Even so, when we tally up the results out of all titles tested, the GeForce GTX 480 wins nearly everywhere except in Anno 1404 and ironically 3DMark Vantage. 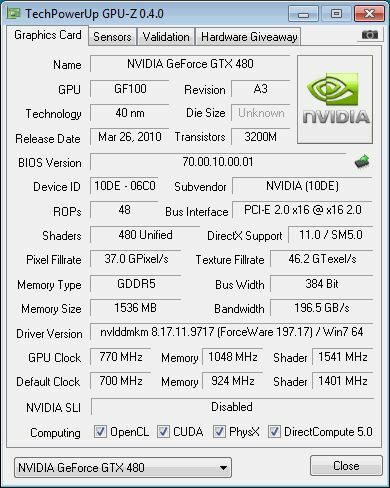 There are scenarios where the GTX 480 is very close to the 5870, but there are also scenarios where the GTX 480 completely and utterly kicks the Radeon HD 5870 in the proverbial nuts. 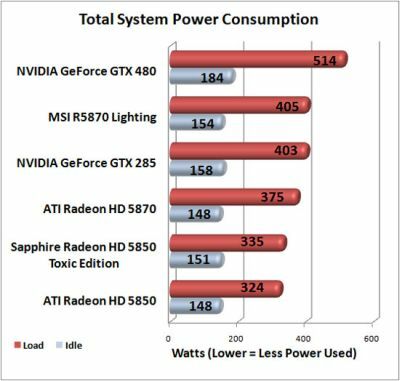 When we focus solely on the GTX 480 now for a minute, substandard and topic of discussion obviously has to be the TDP — the card when stressed will utilize nearly 250 Watts and that certainly is pretty steep power consumption, especially compared to ATI’s Radeon 5870 with a TDP of only 188W. 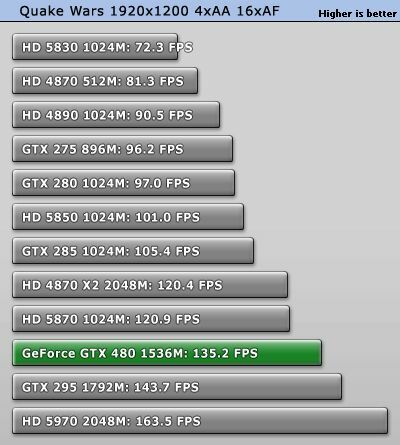 You are going to need a decently ventilated PC as the heat the GeForce GTX 480 produces is plentiful. Make no mistake, the card will get hot, very hot. So that’s definitely something you need to keep in the back of your head. 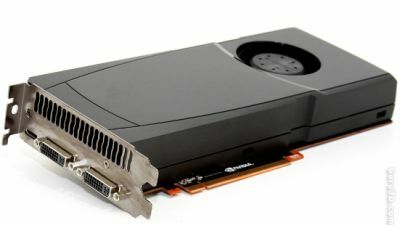 Yes, the GTX 480 offers great performance in our test games, especially in Dirt 2 and Bad Company 2, but compared to the competition, it doesn’t make a strong enough case for itself, especially when you consider that there are just so many caveats involved with buying this card. The higher price, the 100W of extra power consumption, scorchingly hot temperatures and a much noisier stock cooler are all extremely detrimental to its desirability. The HD 5870 remains a far better choice if you’re a gamer; while we’ve yet to see how the GTX 480 performs with CUDA apps and Folding, at this stage Fermi looks like a flop. Aww Nvidia, you’ve been disappointing me. But I don’t like its power consumption and heat. I think I’m going to use ATi until Nvidia making another breakthrough. 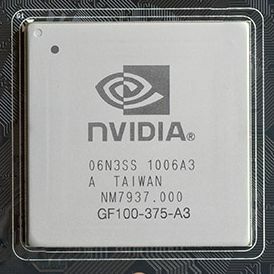 How could Nvidia do this? Dudes, these cards are bad. Decent performance at great power,temperature and noise cost. Nothing good in that. Let’s hope the B1 revision fixes all that. I think a revision will have a hard time fixing that. The general design of the fermi architecture is flawed. Too much focus on tessalation power. A huge chip design, that is expensive to produce and hard lower power usage of thus requires noisy cooling. Just get whichever Radeon 🙂 .